Hamas yesterday celebrated the 15th anniversary of the assassination of Sheikh Ahmad Yassin, the founder of the movement, vowing to continue the path of resistance until the liberation of Palestine. 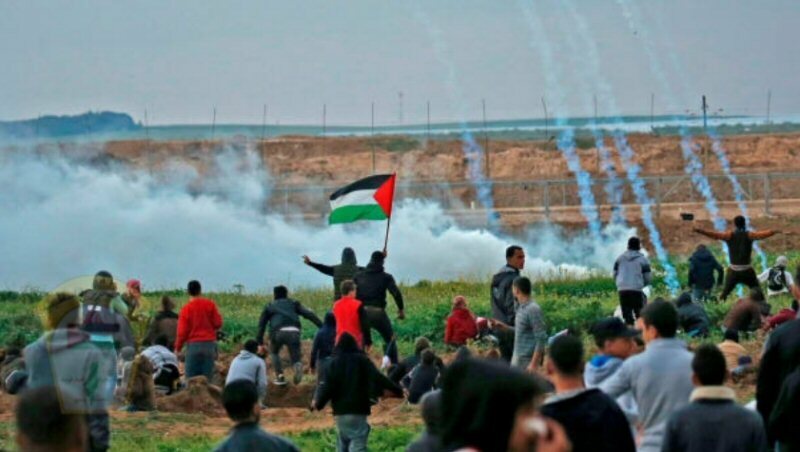 The United Nations Human Rights Council (UNHRC) yesterday condemned Israel’s “apparent intentional use of unlawful lethal and other excessive force” against civilian protesters in the Gaza Strip during the Great March of Return. On the final day of a four-week session, the UNHRC adopted a resolution on accountability, brought by Pakistan on behalf of the Organisation for Islamic Cooperation (OIC). Twenty-three states voted in favour of the resolution, while eight voted against and 15 abstained. One delegation was absent. 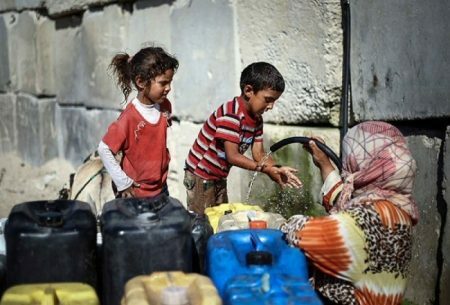 Israel’s Ambassador to the UN, Aviva Raz Shechter, said there was “clear evidence of political bias against Israel” in the report, accusing the panel of ignoring “the very real threat” posed to 70,000 Israelis living along the eastern fence of Gaza during the period of inquiry, 30 March – 31 December 2018. Protests began in March last year, with Gazans demanding Israel ease its 12-year-old blockade of the enclave and recognise their right to return to their lands from which they were forcibly displaced in 1948. At least one Palestinian was shot an injured with a rubber-coated steel bullet as Israeli forces quelled the weekly and peaceful anti-settlement demonstration in the village of Kufr Qaddoum, to the east of Qalqilia, said a local activist. 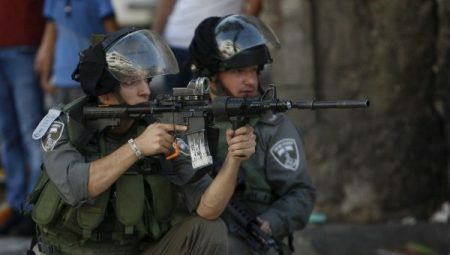 Coordinator of the popular resistance committee in the village of Kufr Qaddoum, Murab Shtawi, said that Israeli forces violently suppressed demonstrators, who also rallied to protest Israel’s closure of the main road that has connected the village of Kufr Qaddoum with the city of Nablus since 2003. Forces fired live and rubber-coated steel bullets as well as tear gas canisters at demonstrators, shooting and injuring a 19-year-old Palestinian with a rubber-coated bullet to the head, which necessitated his transfer to hospital for medical treatment. Forces also attacked journalists who were covering the protests, including French Agency photographer Jaafar Ishtayeh , photographer with the Chinese news agency, Nedal Ishtayeh, and Palestine TV cameraman, Mohammed Innayeh. No injuries were reported, however. “Before 2003, the residents of Kufr Qaddum would use a shorter road to the east in order to come and go to nearby cities and villages. However, as the settlements expanded so that they overwhelmed the road, it became closed for Palestinian use, said Addameer Human rights Association, according to WAFA. The only alternative road is roughly six times longer than the previous route, disrupting the villagers’ ability to attend university, their jobs, and other vital aspects of their economic and social well being, noted Addameer. ”Three Palestinian deaths relating to the road’s closure occurred between 2004 and 2005,” it said. Although Kufr Qaddum’s Popular Resistance Committee took their case to the Israeli High Court in 2003, the legal status of the road remains unchanged, stressed Addameer. After all legal appeals failed, villagers decided to organize weekly demonstrations in July 2011, a step that was met with violent suppression by Israeli forces. Organizers of nighttime protests in the besieged Gaza Strip have warned that they will escalate their activities along the border fence to pressure the Israeli occupation to lift its siege on the coastal enclave. They affirmed that the current week would see massive nighttime protests along the eastern and northern border, adding that the activities, which would include the launch of inflaming balloons, would start daily at 07:00 pm and continue until dawn in border areas near military posts and settlements. They warned that they would make the life of settlers and soldiers near the border an unbearable hell until their leaders decided to end the siege on Gaza. “Either the blockade on Gaza ends or the communities living near the border leave,” their statement underlined. An Israeli occupation drone attacked a group of Palestinian youths in the east of Al-Burij camp in the middle of Gaza Strip, on Saturday evening. The Ministry of Health reported that 3 Palestinians injures by an Israeli drones’ attack in the east of Al-Burij camp. The Israeli occupation continues to flagrantly violate international law by killing unarmed civilians. Since the beginning of the Great March of Return, IOF shot and killed more than 260 unarmed Palestinian civilans, injured more than 28,000 others.